Syracuse Symposium continues its yearlong look at “Place” with a visit by world-renowned neurobiologist Carla Shatz. A professor of biology and neurobiology at Stanford University, Shatz will deliver this year’s Kameshwar C. Wali Lecture in the Sciences and Humanities titled “Inside the Brain: Synapses Lost and Found in Development and Alzheimer’s Disease.” The lecture is Thursday, Dec. 8, at 4 p.m. in 132 Lyman Hall. The following day at noon she will lead a scientific research seminar in Watson Theater. Both events are free and open to the public. For more information, contact the Department of Physics in the College of Arts and Sciences at 315.443.3901. Shatz’s visit is co-sponsored by the Kameshwar C. Wali Lecture in the Sciences and Humanities Fund, the physics department, the Interdisciplinary Neuroscience Studies Program and the Syracuse University Humanities Center, all based in A&S. Syracuse Symposium is organized and presented by the Humanities Center. 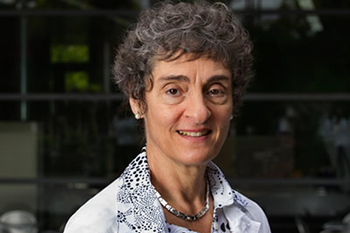 Cristina Marchetti, the William R. Kenan Distinguished Professor of Physics in A&S, says both presentations will address Shatz’s contributions to understanding how brain wiring occurs during development—research for which she was awarded the prestigious Kavli Neuroscience Prize in June. Particular emphasis will be placed on the part of the brain that receives information from the eyes. Shatz also will talk about her discovery of proteins that may be manipulated to help the brain and nervous system fight neurological ailments, such as autism, schizophrenia, Alzheimer’s and Lou Gehrig’s disease. Committed to shattering glass ceilings, Shatz is the first woman to have earned a Ph.D. in neurobiology from Harvard Medical School and to have chaired that university’s Department of Neurobiology. At Stanford, she was the first woman hired by the School of Medicine and then awarded tenure in the basic sciences. In addition to Stanford and Harvard, Shatz has taught at the University of California, Berkeley. 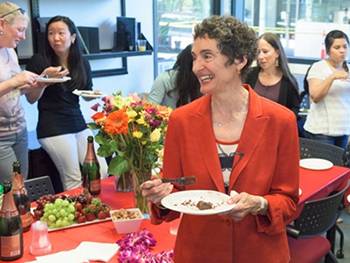 In 2007, she returned to Palo Alto, where she has since served as the inaugural Sapp Family Provostial Professor and the David Starr Jordan Director of Stanford Bio-X, a pioneering interdisciplinary biosciences institute. 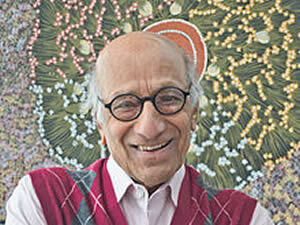 The lecture’s namesake, Kameshwar C. Wali, is the Steele Professor of Physics Emeritus. A Syracuse faculty member since 1969, he is internationally recognized for his research into the symmetry properties of fundamental particles and their interactions. Wali is the author of “Cremona Violins: A Physicist’s Quest for the Secrets of Stradivari” (World Scientific, 2010) and “Chandra: A Biography of S. Chandrasekhar” (University of Chicago Press, 1991). He is a fellow of the American Physical Society, whose India Chapter named him Scientist of the Year, and a recipient of the Chancellor’s Citation at Syracuse for exceptional academic achievement.